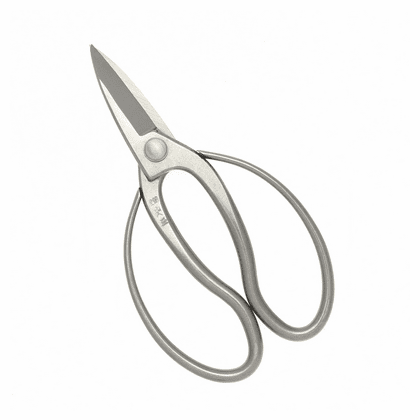 Bonsai Ikebana Stainless Steel Shears "Ohkubo"
Home | Bonsai & Ikebana Tools | Bonsai Tools | Bonsai Ikebana Stainless Steel Shears "Ohkubo"
These shears allow to cut both thick branches as well as trim delicate stems and leaves. The handle is large looped and easy to grip. 7-1/4" long, 4" wide, stainless steel.